A beautiful van conversion by Volkswagen themselves!! 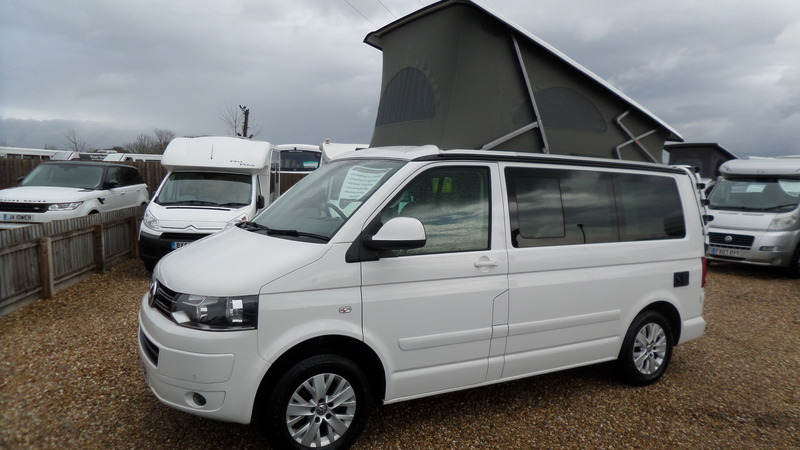 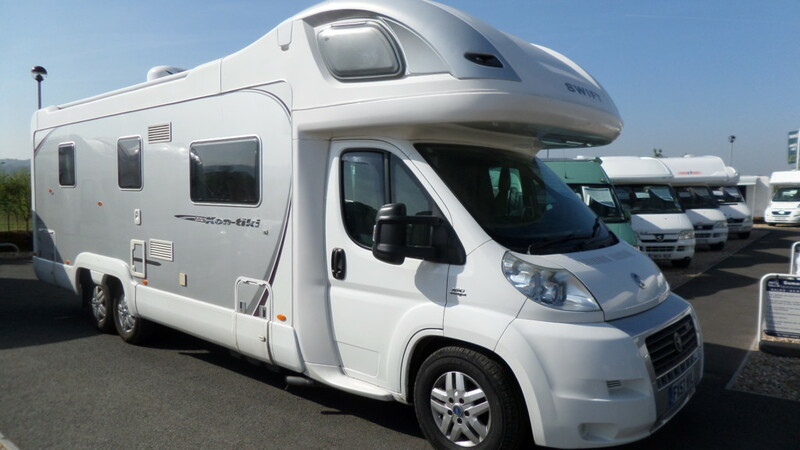 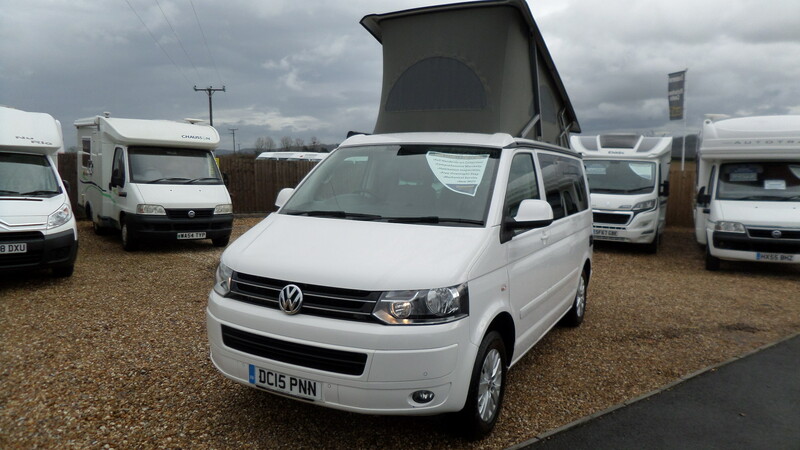 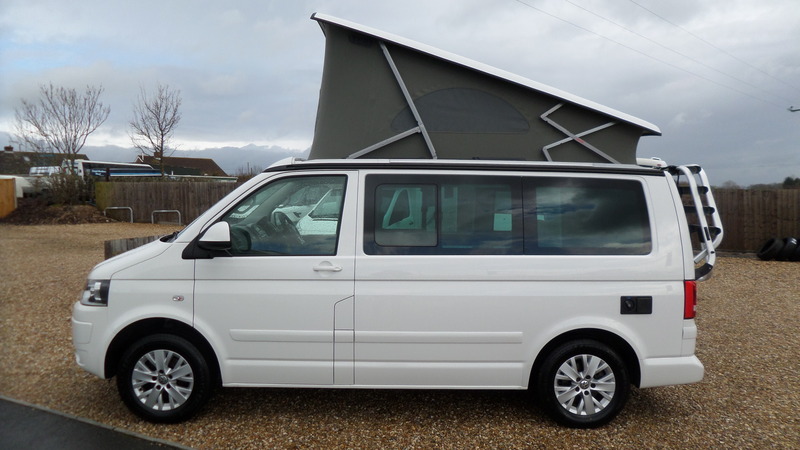 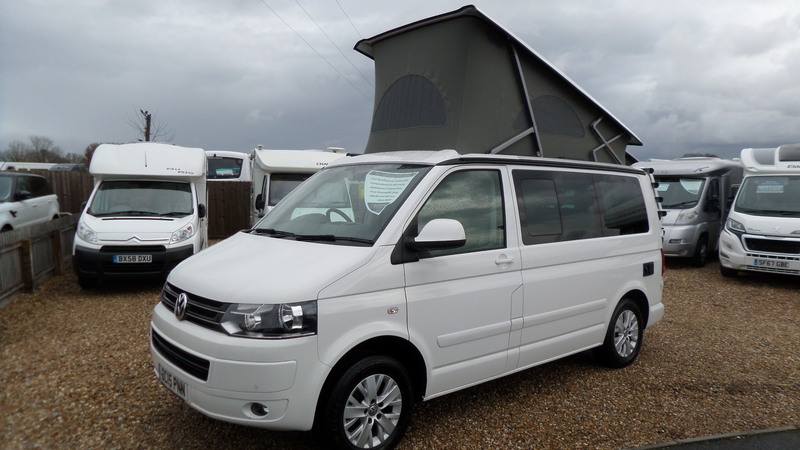 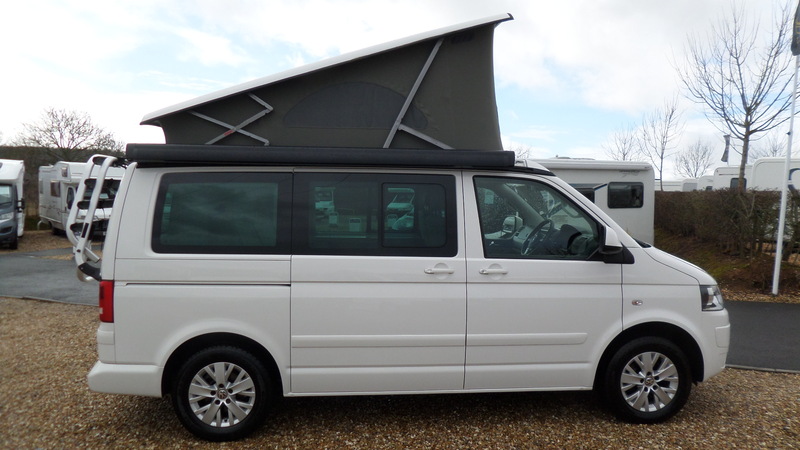 The California SE is highly sought after on the used market due to it’s build quality and high specification level. 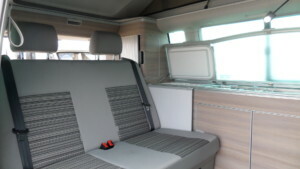 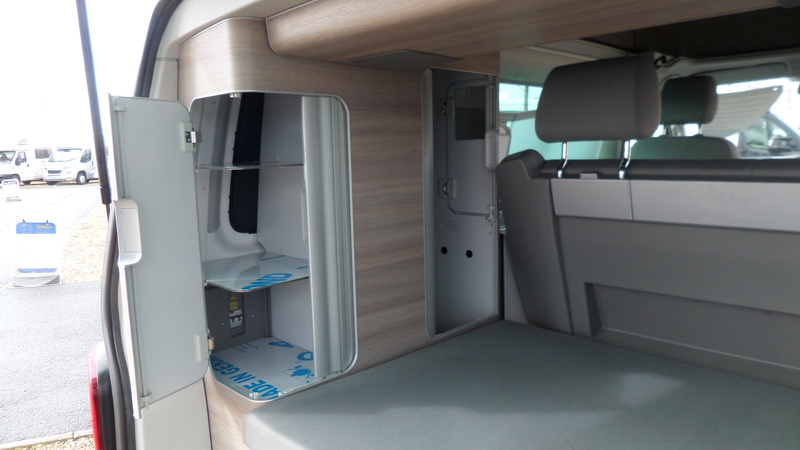 With it’s classic “Rock n Roll” bed layout and mid side facing kitchen it has all you need for those trips away. 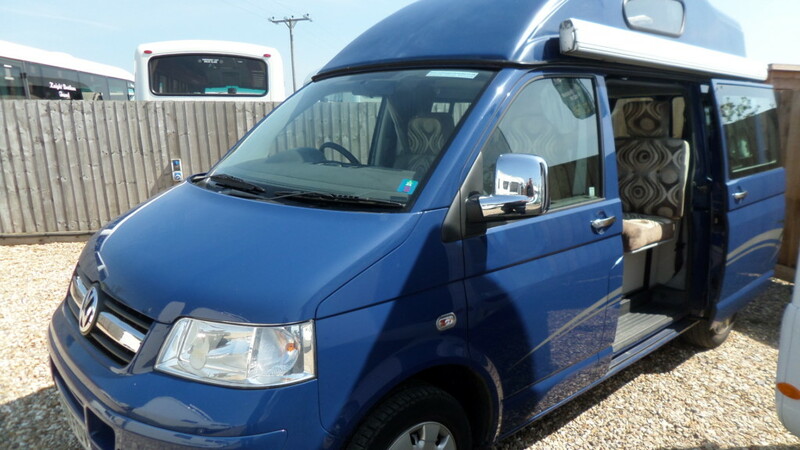 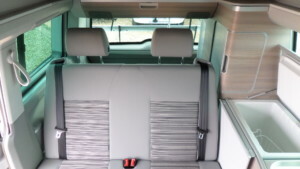 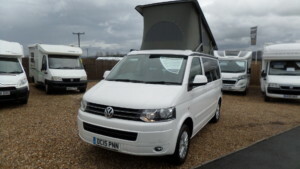 This model comes with 4 belted seats and can also sleep 4 with guests or the children using the “pop up” roof during the night. 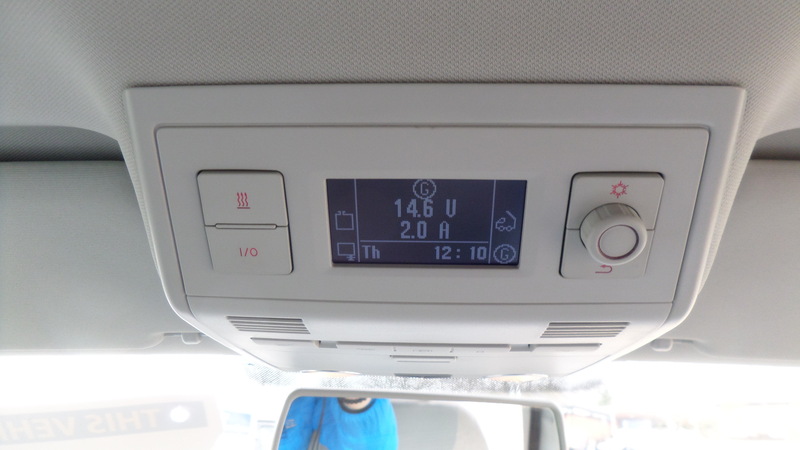 Also, that elevating roof section, in lightweight aluminium, operates electrically via a central panel above the dashboard that also controls noteworthy functions such as the interior heating system (it’s on a timer, too) and the compressor fridge. 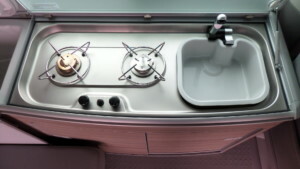 There’s a lightweight but strong feel to the furniture, with its aluminium edging and, adjacent to that fridge unit – a top-loader, is a combination two-ring hob and sink unit. There’s also a clever table that slides away unobtrusively, alongside the rear seat (which is also on rails) when not needed. Also here, as standard, are the two outdoor chairs (stowed in a zipped canvas bag attached to the tailgate) and an accompanying table tucked into a recess in the sliding door. 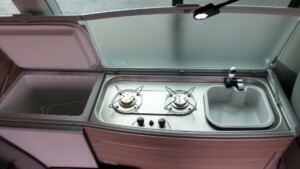 There’s plenty more clever stuff. 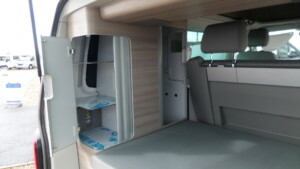 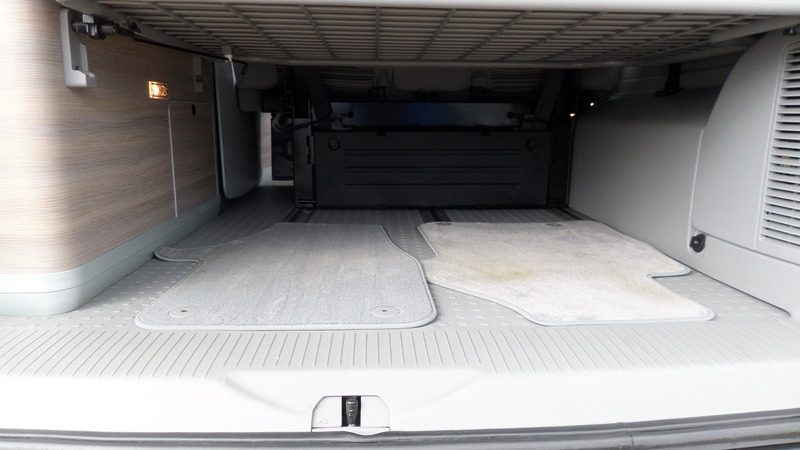 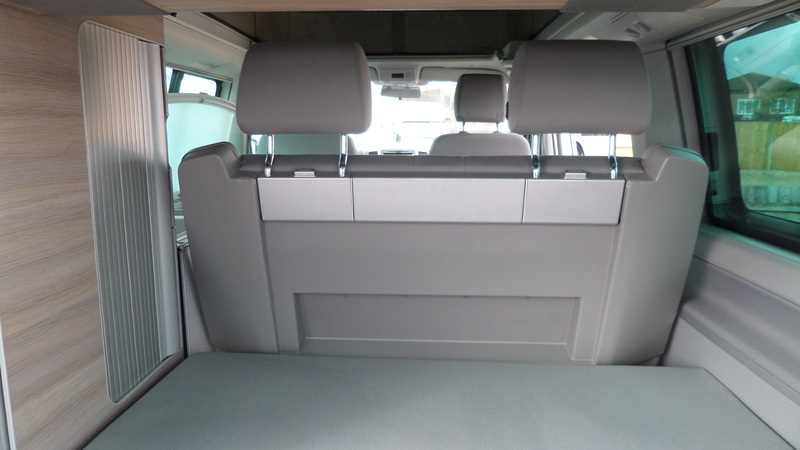 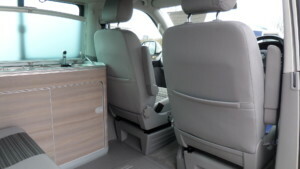 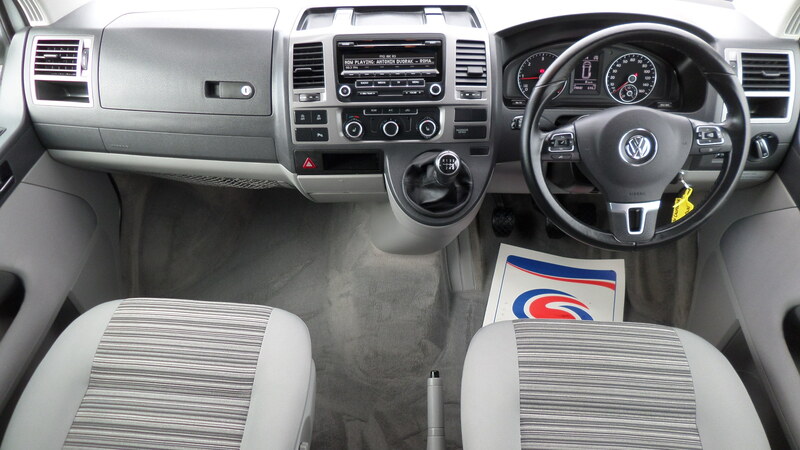 Like the fresh water tank that envelops that gas cylinder, the large storage locker above and just behind the rear seat. 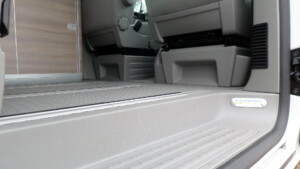 And the soft-closing side door. 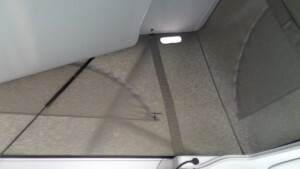 The integrated awning rail. 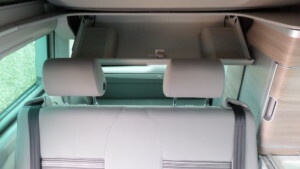 The extra cab airbags. 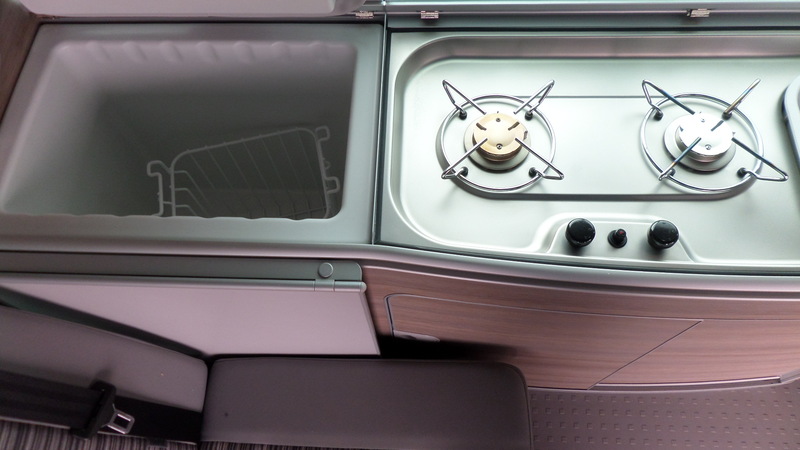 Insulating, tinted glass. 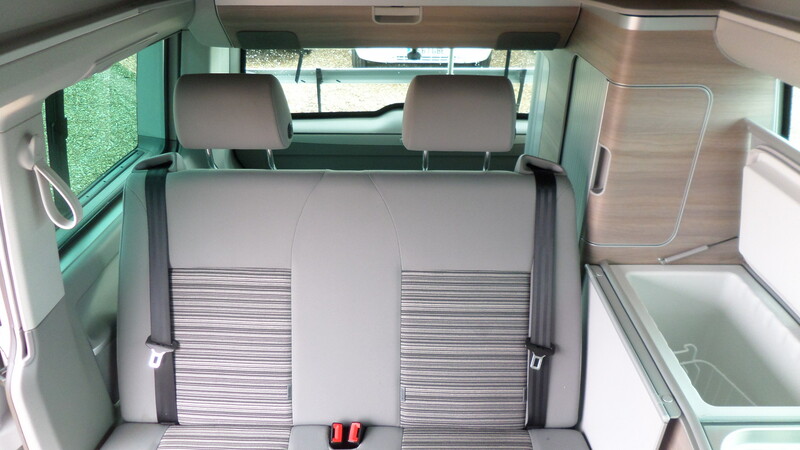 Heated front seats, flip-down rear head restraints when it comes to making the beds. 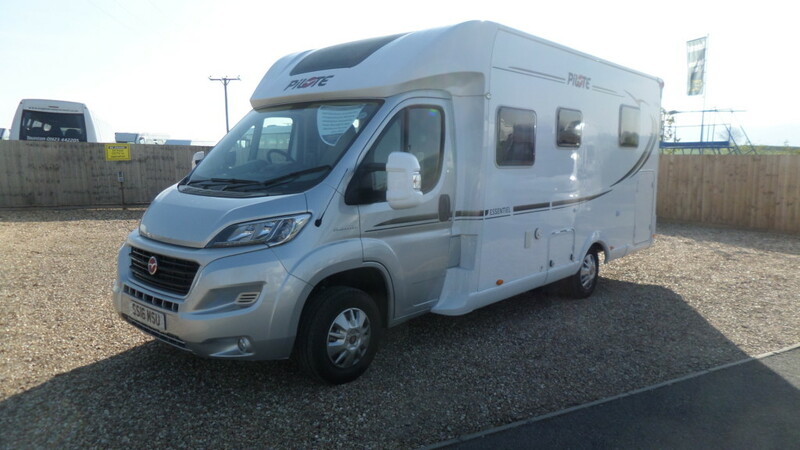 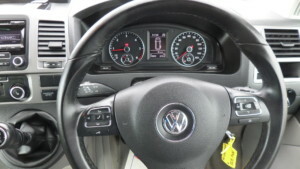 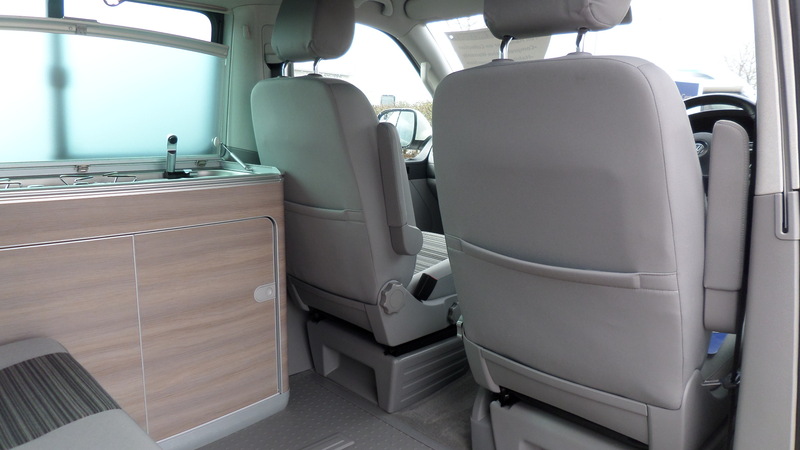 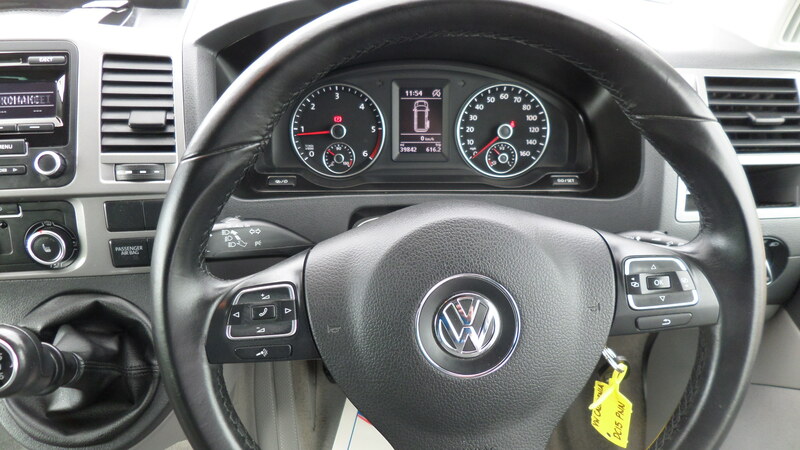 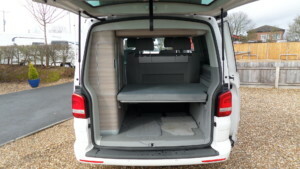 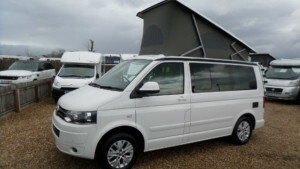 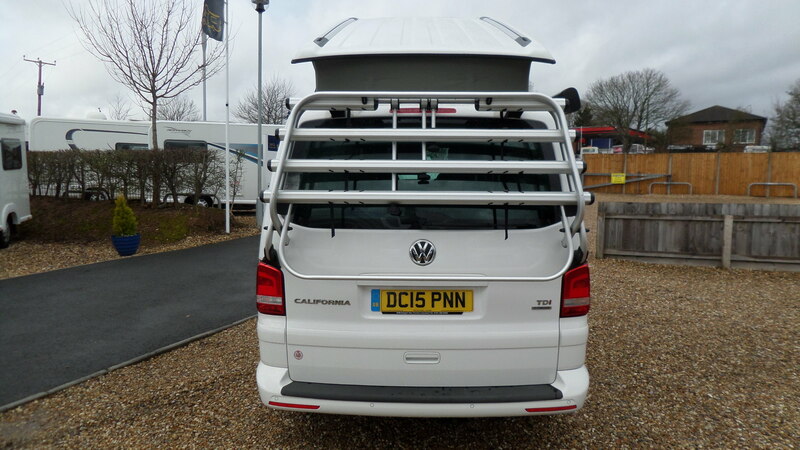 This model also comes complete with bike rack, awning and parking sensors both front and rear. The ideal for all your trips away and designed to go anywhere!! !